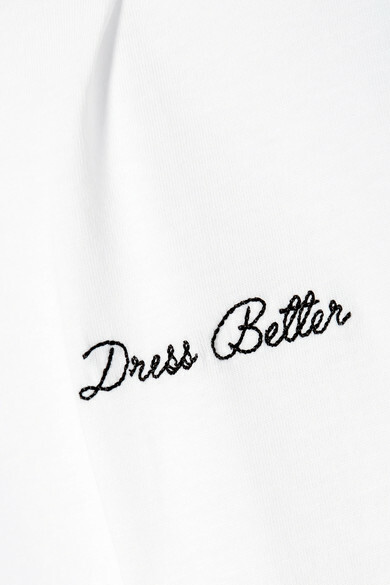 Ninety Percent's T-shirt is embroidered with the label's motto 'Dress Better' at the front - two simple words that sum up its commitment to sustainability and the community. 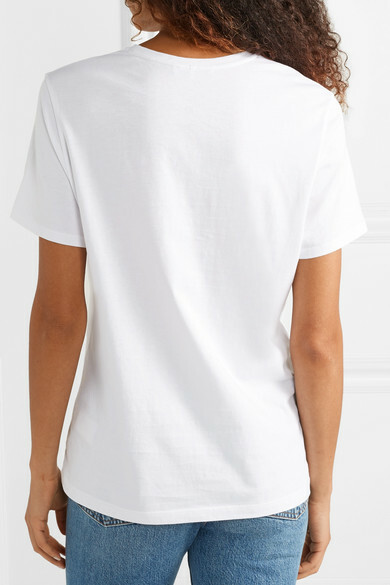 It's made from certified organic cotton-jersey and has a loose, boxy fit that looks so cool tucked into jeans or a skirt. 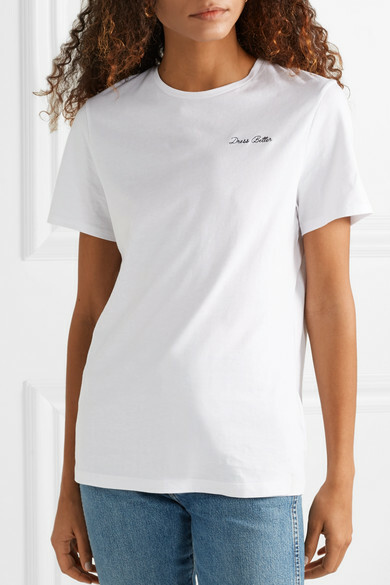 Make sure to enter the unique code on the care label into the brand's website, so you can choose which charity you'd like the proceeds of your purchase to be donated to. 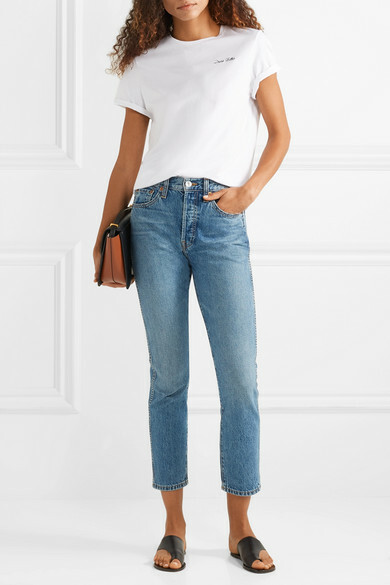 Shown here with: RE/DONE Jeans, Wandler Shoulder bag, ATP Atelier Slides, Sophie Buhai Earrings.